hour. You know the feeling…something better wake you up because you are starting to drool over your keyboard. Well, today this picture perked me up and made me smile. 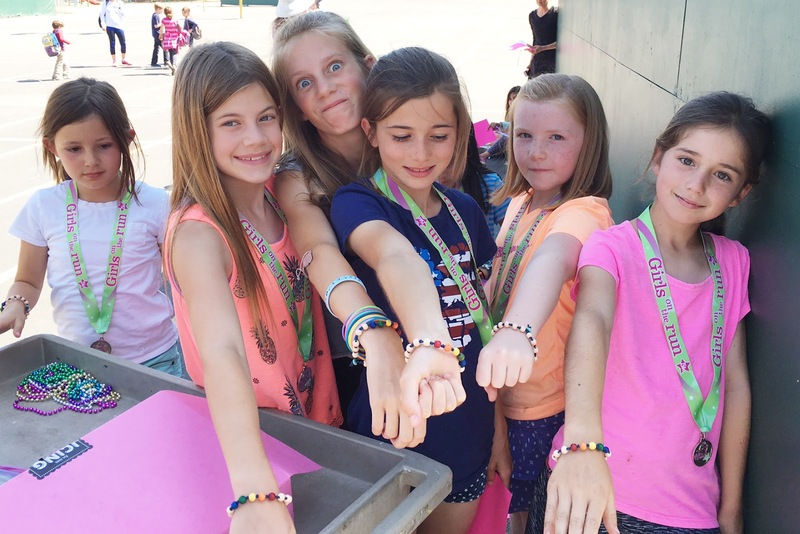 These precious girls are in a group in California called Girls on the Run. One of their coaches is a friend of mine. We will just call her Nancy in California. That is how she appears in my phone. Her last name has so many crazy letters that you could never spell it correctly forget trying to say it. Well, Nancy learned about Healing Knots at a birthday party in California where Healing Knots were given as party favors. Yes, it was a party for a grown man that was turning 50 but the Healing Knots bracelets were still just the right favor and many a man grabbed a triple wrap bracelet and proudly wore those wooden beads as we all celebrated our friend’s march into the decade of 5-0.
weathered that tragic loss and brings so much joy into a room that her presence cannot go unnoticed. Healing Knots. We have a 5K and I want to give everyone a Healing Knots bracelet.” Her text are always full of so many funny words and so much love. Making these bracelets is always done in record time. This year it was 15 single strands and 4 triple wraps to California by May 17th !!! Nancy’s daughter is all grown up now but she gives time to these precious girls to help them know they are strong and can do anything. The message comes by running together and training for a 5K. The love comes with every step of the run and just the fact that young girls get to meet someone as strong, genuine and magnetic as Nancy. Trust me, after the year is over and they complete that final race, the memory of Nancy stays with them and they know that life is powerful and being a woman is powerful!!! 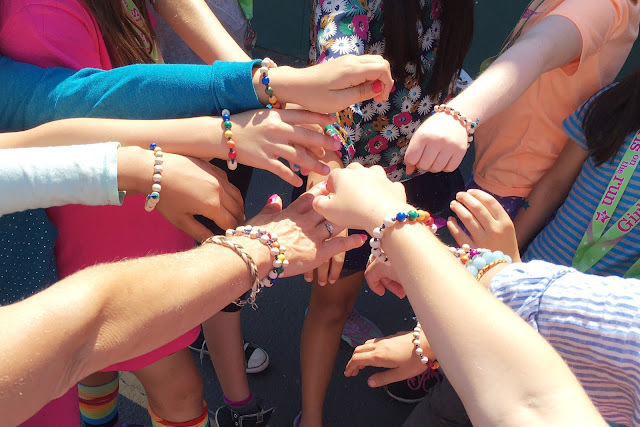 growing and sharing her love with young girls. All along, Nancy is sharing that life is not a race to the finish line, but life is a race to find love, acceptance and courage no matter what gets in your way!! !